When what matters is standing out, accessories are on the podium with the essentials. 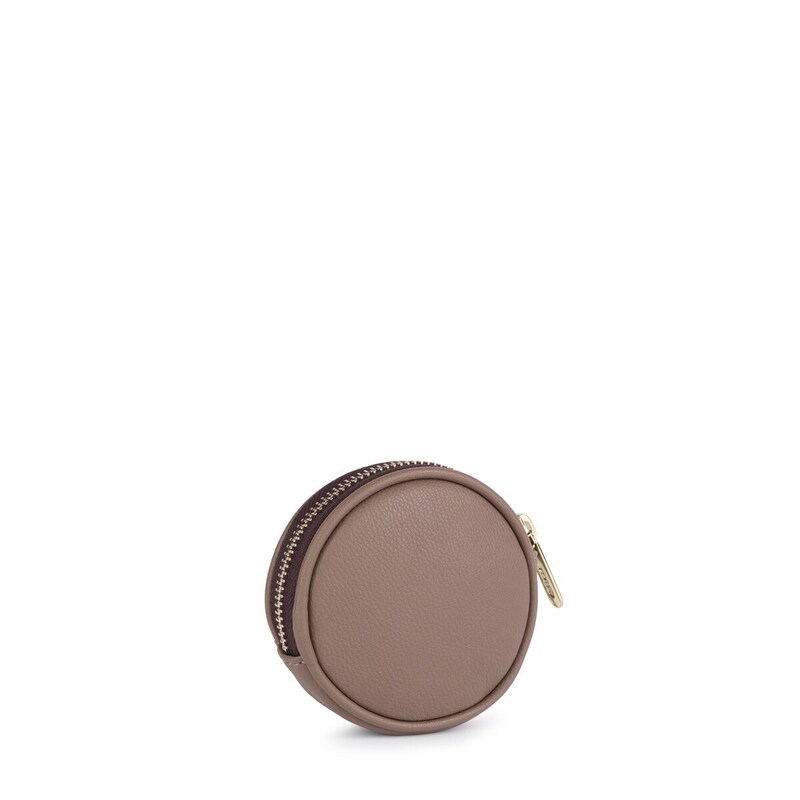 This change purse is a great addition. 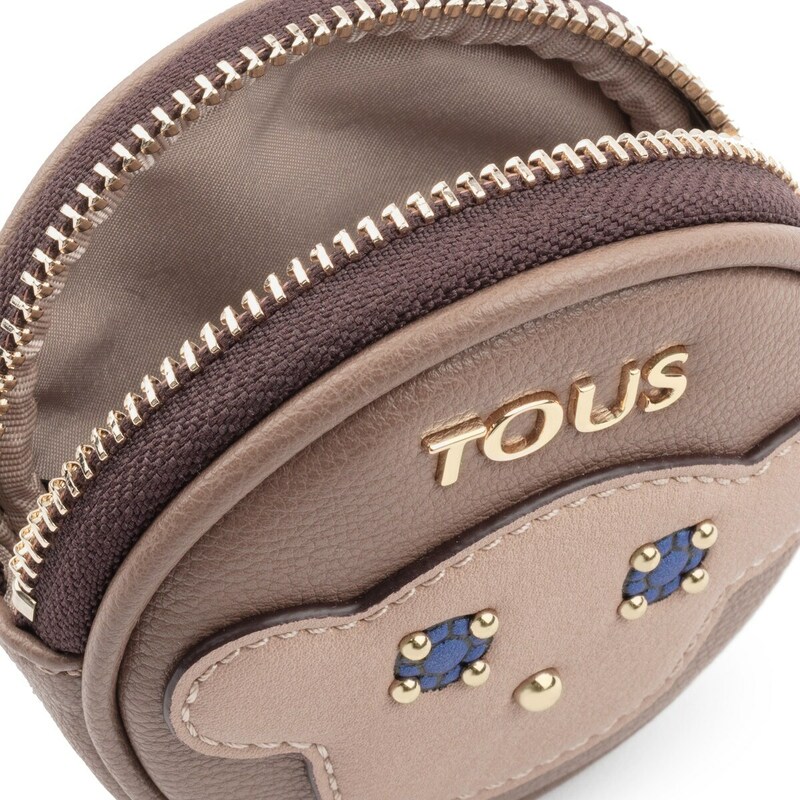 Small, round TOUS Patch Maia change purse in taupe colored leather-effect vinyl. Zipper closure. This item features a patch in the shape of our bear’s head with crystals and metal details that resemble jewels. Measurements: 9x9x2 cm.